Google Search is king. It has many cool features that will wow you, but it’s not your only good option when it comes to search engines. Bing is getting better How Bing Predicts Has Become So Good How Bing Predicts Has Become So Good Time to quit your day job and start gambling via Bing Predictions? Not quite, but let's have a look at how Bing has become just so good at predicting the future. Read More . StartPage gives you Google Search results without compromising on your privacy. And then there is everyone’s favorite underdog/upstart — DuckDuckGo. 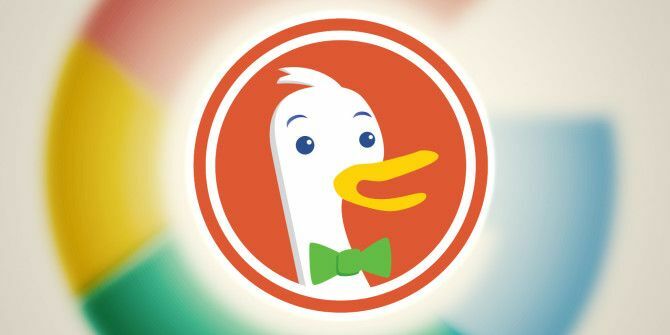 With (claims of) 100 percent private searches and a goodie bag full of tricks, DuckDuckGo has earned a loyal fan following Why This Longtime Google Fan Now Prefers DuckDuckGo Why This Longtime Google Fan Now Prefers DuckDuckGo Most of us don't remember life before Google search. Try DuckDuckGo. Learn its tricks. There could be nothing you miss about Google. Read More . It has a few unusual features that even Google doesn’t have 6 Cool DuckDuckGo Features You Won't Find on Google 6 Cool DuckDuckGo Features You Won't Find on Google In a world ruled by Google, at least where search is concerned, it’s sometimes hard to imagine a worthy alternative. DuckDuckGo is one website that is trying to offer such an alternative. If you’ve been... Read More . Let’s see how you can put those to work. Note: We have covered how you can change your browser’s default search engine How To Change Your Browser's Default Search Engine How To Change Your Browser's Default Search Engine So, what are you searching with? Bing? Google? You might know how to use any search engine you want on the Internet, but do you know how to change the default search engine for your... Read More , in this case to DuckDuckGo. Yes, you can search the archives of different websites from the address bar in Chrome, Firefox, and other mainstream browsers. But to do that, you’ll need to set up keyword searches first — not if you have set DuckDuckGo as your default search engine. With DuckDuckGo’s awesome !bangs feature, you can jump right in and search many popular websites from the address bar. For example, to search MakeUseOf, type in !makeuseof (or even better, !muo) followed by your search query and hit Enter. This looks up your search keyword on MakeUseOf and displays the MakeUseOf results page. You can search YouTube with !yt, Gmail with !gmail, Google Maps with !gm, and so on. Here’s where you can look up supported !bangs. Feeling adventurous? Submit your own !bang suggestion. If you type in the name of a well-known app or even an operating system followed by the word cheatsheet (and hit Enter, of course), you’ll get the relevant cheatsheet right there in DuckDuckGo. The name of the app/platform that you need to use is a bit tricky though. For example, typing in windows cheatsheet won’t work; you have to be specific. 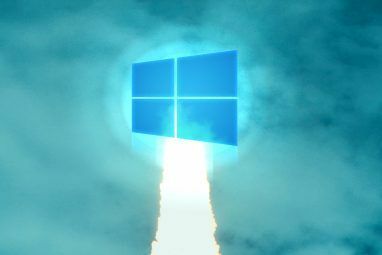 Use windows 10 cheatsheet to get the list of shortcuts for Windows 10. If you’re a Mac user searching for shortcuts: using osx cheatsheet gives you a list of macOS commands alright, but typing in yosemite cheatsheet or el capitan cheatsheet doesn’t work. Using this method, I was able to find cheatsheets for Todoist, Evernote, Ubuntu, Chrome, Firefox, Opera, and Facebook. Wondering if Facebook is down for everyone else too? Ask DuckDuckGo is facebook down and get an instant answer. That’s not the only useful reply from DuckDuckGo that will save you time and a few clicks. With the search engine’s Instant Answers feature, you can even generate strong passwords, expand shortened URLs, and find coupons 10 Useful DuckDuckGo Instant Answers That Save You Time & A Few Clicks 10 Useful DuckDuckGo Instant Answers That Save You Time & A Few Clicks Instant Answers is a collection of DuckDuckGo goodies that potentially make your online search life somewhat easier. Here are ten from a huge list you can try out on this alternative search engine. Read More . If this feature is not working for you, it could be because the Instant Answers button in Settings > General is not set to On. Look up html chars in DuckDuckGo and you’ll get a list of the HTML codes (as well as decimal and hex codes) for various special characters. It’s way easier to copy the right codes from this section than to visit a separate website to copy them, isn’t it? Want a bit of text converted to lowercase? Paste it into DuckDuckGo search, prefix it with the word lowercase and a space, and hit Enter. There you have it — the lowercase version of the text, ready for you to copy-paste elsewhere. You can replace the trigger word lowercase with uppercase or titlecase and get back the corresponding case-appropriate text. If you’re not familiar with the concept of QR codes or not sure where you’ll find them useful, backtrack a bit and see what QR codes are all about What Are QR Codes? Digitize Your World & Back Again What Are QR Codes? Digitize Your World & Back Again Read More and where you can use QR codes 7 Great Uses For QR Codes & How To Generate Your Own For Free 7 Great Uses For QR Codes & How To Generate Your Own For Free Quick response codes, or QR codes for short, have been used for a few years now to provide rapid access to URLs, messages or contact information. Marketing and advertising departments love QR codes, as with... Read More . All caught up? Great! Now, about generating QR codes for any piece of information: it’s super easy with DuckDuckGo. All you have to do is type in qr, followed by, say, the website that you want to get a QR code for, and hit Enter. Handy for using that info on your phone without having to type it all out, right? If you’re looking for a replacement for, say, Evernote, the quickest way to look up alternatives is via a web search or via AlternativeTo, a crowdsourced platform for app recommendations. You can combine the power of both in DuckDuckGo, like so: search for alternative to evernote. This gives you a card-like view of Evernote alternatives sourced from AlternativeTo in DuckDuckGo. You can use a custom theme. You can’t change how Google Search looks (unless you’re adding it as a search engine on your website), but you can customize the look and feel of DuckDuckGo. Go to Settings > Appearance to make that happen. If you don’t want to fiddle with fonts and color codes and such, pick a preset theme from Settings > Theme. You can turn off ads. While Google allows you to opt out of targeted ads or control the ads you see How to Control What Ads You See on Facebook and Google How to Control What Ads You See on Facebook and Google Ads pay for the Internet. Unless an alternative is found, we have to accept them. But while we live with them, we can make these online behavioral ads more relevant to us and our interests. Read More , DuckDuckGo lets you turn them off altogether (via Settings > General > Advertisements). You can tweak Google Search settings to display more results, but you can’t get past clicking through the pages of the search results, unless you use a browser extension like AutoPagerize. Unlike Google, DuckDuckGo does the page turning for you, which means that you get search results on what seems like one continuous page. You can read all of XKCD! Look up xkcd in DuckDuckGo and you get the latest XKCD panel right there above the search results. Don’t miss the Previous, Next, Random, and Explain it! links to dig up more panels without leaving DuckDuckGo. As much as you love Google, if you wish we could end Google’s search monopoly Help End Google's Search Monopoly: Use Something Else Help End Google's Search Monopoly: Use Something Else We created, adopted and embraced the Internet as a platform for freedom of speech and expression – so why do we all use the same search engine predominantly? Read More , do your bit for the cause by choosing an alternative primary search engine. DuckDuckGo makes a great candidate for that job. If you use it already, see how you can use it better. Opting for a search engine like DuckDuckGo is a small step toward ditching big business to protect your privacy Want To Ditch Big Business And Protect Your Privacy? Here's How Want To Ditch Big Business And Protect Your Privacy? Here's How Read More . Ask yourself what else you can do on that front. If you’d rather not give up Google Search, but want the benefits of DuckDuckGo as well, set the latter as your default search engine and append !g to keywords that you’d like to look up on Google. This takes you to Google’s search results on an encrypted page via DuckDuckGo. Don’t forget to tell us your favorite DuckDuckGo trick (and how to make it work). The lesser known the better! Explore more about: DuckDuckGo, Google Search, Web Search. I want something similar to "Google News" (the older version, not the present crap version), with headlines of many different sources, randomly picked, not chosen. I used to always have DDG as a wildcard search engine. You can't help but be corralled by Google and everyone else. The same with browsers.I can't remember the last time I saw that cute logo anywhere. I see that time range option now. Thanks. I tried it with "hp1020 printer driver linux" - which is a pretty old printer, so there really shouldn't be much new about it - and told it to give me results from the last day. I still got a lot of results, so the feature isn't as useful as I had hoped. However, maybe those pages all had new ad content, or something like that which makes them appear new when they're really not. Been using DDG for a year or two as my default search and am very happy with it. The only thing that brings me back to Google is the Advanced Search option that lets me select results newer than some time period. Have they added a way to do that to DDG? Joseph, DDG doesn't have that option yet i.e. selecting search results newer than some time period, but now you can filter results from the past day, week, and month. That wasn't possible before and now it is, so I'm hoping custom dates also make an appearance in the future in DDG. Adding 'sort:date' to the search string will give you the most recent hits first, which usually works just as well as a 'newer than' filter. I use DDG as my default search engine. Sometimes I notice that its coverage of non-English content is not great. Then I add !sp to the search terms, which takes me to StartPage where I can view Google results without compromising my privacy, and without being locked into a filter bubble. Love the duck. Good article. Thnx. Somebody doesn't know how to use google. Try "site:makeuseof.com searchterm". That's been there forever, and you're late to the game.
! is a lot easier to type than site: so I'd say duck duck go has Google beat in terms of usability on this common feature to so many search engines. Limiting search results toa single site predates Google, so it's not like Google has some special feature that they've cornered the market on. I think it is you who is late to the game. You realize there was an internet and even a world wide web before Google. Google wasn't my first, second, or even third search engine that I used. Google adds the etymology to definitions, which I miss. Privacy and customisation are more important to me. Personally, I just set up a custom search in my browser for my favorite dictionary website, I find that superior to searching Google for definitions, etymology, etc. anyways. I'd like to add 2 more things that I found useful, if you search for "public dns" it will list several so you don't need to dig the search results, another thing is if you search for "maven [keyword]" it will show the maven info (if the keyword matches any record in the database), useful if you're doing java programming. I've been using DDG as my default search engine for about a year or more. Hardly miss google, though I must admit sometimes google does better in finding stuffs that don't want to be found, also DDG doesn't have reverse image search yet.. Both great tips, AP. Thank you! Reverse image search is the only thing I still use Google for because it is currently superior in this area, well, that and maps. I have DDG feed me Google Maps in its results even. But that's the only 2 things in which I find Google's products to be the best solution, across the board of everything they do.